Not Warsaw, Poznan, Gdansk, Chorzów or Wroclaw but Cracow has turned out the best in the newest report of UEFA committee that estimates the preparations of Poland for Euro 2012. Barbra Janik, the manager of Cracovian office of Euro matters assures that Cracow left behind the remaining five cities. However, the distance is increasing. 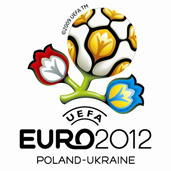 The journal “Polska” got fragments from the newest report of UEFA. Cracow can be praised, because despite several restrictions from Platini experts, the city was showed as the example to be followed. UEFA, when estimating the progress of works, use the system of colours. Changing it one the school grades the white colour equals the five grade, green – four, yellow – three, orange – two and red – one. There isn’t number 6. Cracow is yellow-green says Rafał Kapler, the vice-chairman of the PL.2012 company that was set up to manage, coordinate and supervise the organization of Euro 2012. He adds that the report is secret, that is why I do not want to talk in details but it was exceptionally good for Cracow and different cities can envy you. A very high opinion of Cracow results from visible progress of works on the Henryk Reyman Stadium. Cracow received the green colour in September report in the column ‘stadium’ . The stadium will be ready at the end of 2010 year- says Adrian Ochalik, the press spokesman of Wisła Cracow. Before us there is Poznan that also wants to modernize its stadium till 2010. The already famous red colour marking the high threat of the project appears most often near airports and hotels. Cracow hostel on the background of different cities looks pretty well. The one of lower standard in case of Cracow is white now. (Warsaw that has green colour cannot even count on it. However, the green colour is the preparation of 4- and 5-star hotels. Martin Herra, the boss of PL.2012, says that the staying centers are still a problem. From over 100 ones, that contested a seat, there are only 4 ones that fulfill the standards. Among them there is also Kolna, the Cracovian centre. Although there isn’t any hotel, the situation will have changed by 2012 and the hotel will have ‘appeared’. Similarly as the four hotels of Orbis, three Hilton’s and four-star Pantheon and the one near the airport in Balice.